Last night I had the pleasure of cooking with 7 of Auckland’s finest chefs. 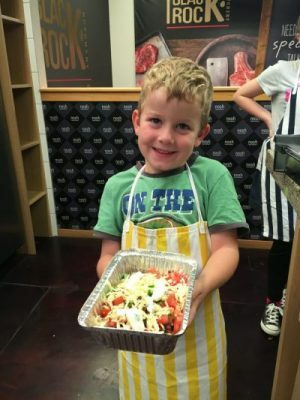 This in itself was a huge honour, and to again have the privelege of cooking for the families at Ronald McDonald House, Auckland was immensely rewarding. So what happens when a room full of talented Chefs and a Masterchef contestant are presented with a bench groaning with simple ingredients? First we did some brainstorming. 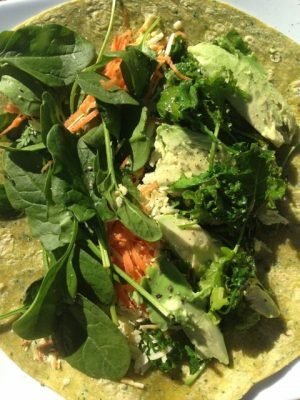 Plenty of ideas – and a clear understading of which ingredients were to be utilised and where. It’s an awseome feeling to be around others so passionate about food. It was humbling for me – I am NOT a chef but one thing I have learnt on my journey in MasterchefNZ is that I love food, and I am a pretty good cook. So, I let the true Chefs make the decisions and I was flattered to be a part of the night – prepping and chatting and cooking alongside a group of people who have made food their life. This is where I want to be – for me immersion in the food world is a dream come true. Chatter revolves around kitchens and chefs – from Gordon Ramsey to Peter Gordon, from Josh Emett to Simon Gault. The tales are fun and lively and the atmosphere is buoyant as we head towards our goal of preparing a simple yet delicious meal for 150 families – families who have plenty to worry about. Families who don’t need the concern of how to get themselves fed – they have far bigger issues on their minds. Yet, people will arrive will smiles on their faces and thankful appreciation – I know this, because I have been here before and will never stop being amazed at the brave, strong families I meet here. Our food is prepared well in advance – plenty of time for a laugh, a drink and the inevitable photo shoot. I am ribbed by the Chefs that I must be well used to the cameras – and yes I guess I am!! A journalist hopes that I don’t plan to set the kitchen on fire – I assure her of that and that I plan not to cry either!! Everyone has seen me cry enough on TV recently!! The families arrive and as I already know they are truly thankful for the food we have for them. Their eyes light up at the choices and at all the chefs lined up with big smiles ready to serve up healthy portions. I work alongside Sergio from Toto’s. I laugh at the Italian sized portions he serves up for the children. Grinning, he tells me they need more food – I love Italians – and their generosity and Sergio is no exception! The dessert has been produced by Jono from Number 5. An insane bread and butter pudding, oozing with chocolate and blueberries – I spot children drooling (and a few Dad’s too!). 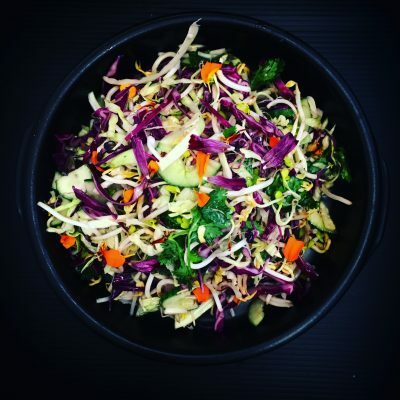 Bec’s from Vivace, treated me as a peer, as we worked alongside roasting vegetables and creating an Asian noodle salad. We were the females on board and I was so appeciative of her willingness to hang out with me and chat in a consultative way. 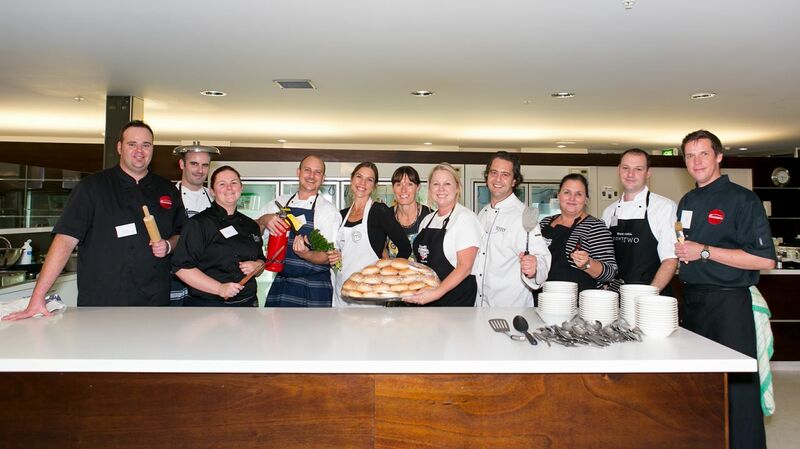 This was the launch of the RMH Auckland’s Supper Club. An annual event usually hosted entirely by chef’s from the participating restaurants. To be involved in such an evening was a true honour.